If you have made your way through bankruptcy and the old clunker is starting to make noises that you more associate with an exhausted yak than an internal combustion engine, maybe it's time for you to consider buying a new car. Or, should you lease? It's a tough call. Before you think about either option though, remember to consider the ancillary costs of car ownership, like insurance. If you have a few vehicle types in mind, contact your insurance agent to determine what it will take to cover them. You may be surprised at the little things that can add up to a steep insurance policy. Cost of repair should be in the picture too. Thankfully, many of the promotions out there today include comprehensive service plans for sometimes up to 100,000 miles. It pays to know what a tune-up will cost you or if that sporty convertible you have your eye on requires expensive performance tires that need to be replaced after 30,000 miles. Once you understand some of the ancillary costs, it's time to get down to the lease versus buy debate. And it's an extensive one. Leasing attracts car buyers because the monthly payments are typically lower. This is because in total, you are not paying back the entire cost of the car. In essence, you are only buying a portion of it. Lease payments are figured according to the loss in value of the vehicle during the lease term. Most leases also incorporate all the added fess and taxes. Many people consider re-sale value when choosing a new vehicle. With leases, that concern is eliminated because at the end of the term, you simply turn-in the vehicle. In that respect, leases are great for people who get bored with a particular vehicle after a couple of years. Or, should something in the car become an annoyance, it's only something you have to live with for a limited amount of time. Leasing also eliminates the hassle of having to sell your vehicle privately or back to a dealer when it's time for another one. Perhaps the most attractive component of a lease is that it simply costs less to get into a nicer vehicle. For people watching their wallets, that can be an easy sell. And in this recession, leases are being marketed heavily. On the contrary, vehicle leases do present some drawbacks. For most people, especially in light of how far America commutes today, the mileage limits on leases are rarely realistic. If you go over the allotted limit, upon turn-in you should be prepared to pay some additional fees for the excess. 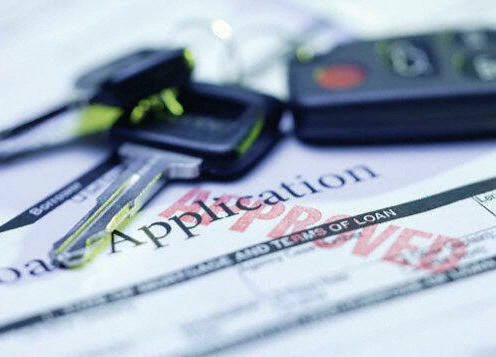 While the monthly payments on a lease may be less than a car loan, you are actually paying more for the car over time. Should you decide to purchase the car at the end of the lease term, you'll find you owe substantially more on it than you would have if you originally purchased it. Of course, a lot of that has to do with the price the dealer will charge you. Finance charges are also higher with a lease, which means more money going to interest. Lastly, be wary of the commitment factor. Leases are extremely difficult to get out from under without paying substantial penalties. If you were to die, your estate is still on the hook for the lease payment. There are a couple of Web sites out there to help you get out of a lease based on vehicle swaps but make sure your agreement allows you to do that. Yes, they have even invented penalties for that. The Law Offices of John T. Orcutt have provided solid bankruptcy advice to thousands of North Carolina families. If you need to file for bankruptcy, you deserve the experience of John T. Orcutt. Call today to set up you free initial consultation. 1-888-234-4181.